Auranitis (Hauran) (Arabic: حوران‎‎ / ALA-LC: Ḥawrān), also spelled Hawran, Houran and Horan, is a volcanic plateau, a geographic area and a people located in southwestern Syria and extending into the northwestern corner of Jordan. It gets its name from the Aramaic Hawran, meaning "cave land." In geographic and geomorphic terms, it extends from near Damascus and Mount Hermon in the north to the Ajloun mountains of Jordan in the south. It includes the Golan Heights in the west and is bounded there by the Jordan Rift Valley; it also includes Jabal al-Druze in the east and is bounded there by more arid steppe and desert terrains. The Yarmouk River drains much of the Hauran to the west and is the largest tributary of the Jordan River. Today, the Hauran is not a distinct political entity, but encompasses parts of the Syrian governorates of Quneitra, As Suwayda, and Daraa, and parts of the Jordanian governorates of Irbid, Ajloun and Jerash, as well as the western part of Mafraq Governorate. However, the name is used colloquially by both the inhabitants of the region (Hauranis) and outsiders, to refer to the area and its people. The volcanic soils of Hauran make it one of the most fertile regions in Syria; it produces considerable wheat and is famous for its vineyards. The region receives above-average annual precipitation but has few rivers. Hauran relies mainly on annual snow and rain during winter and spring and many of the ancient sites contain cisterns and water storage facilities to better utilize the seasonal rainfall. 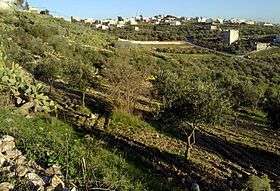 The area is unlike other historical fertile areas of Syria (the Orontes and the Euphrates river valleys), which rely on controlled irrigation systems for their farming productivity. Since the mid-1980s, Syria has built a considerable number of seasonal storage dams within the headwaters of the Yarmouk River drainage basin. The plains of Auranitis (Houran) appear to have been initially inhabited by small bands of hunters and gatherers. By circa 12,000 BC, microliths and bone tools were becoming part of daily lifestyle. It is thought that the development of farming around 10,000 BC triggered an agricultural revolution that changed human history and paved the way for the appearance of ancient civilizations after millennia of hunting and gathering in small groups. By this time Natufians settled in Taiyiba in southern Houran, and southwest of Houran in Tabqat Fahl and in the Golan Heights to the west in Nhal ‘En Gev-II as well as all over Canaan. To their east, circa 8,300 BC wheat was domesticated and their neighbors to the west in Canaan and to the East in Mesopotamia started living in oval houses. Between 8,000 and 7,000 BC, people of Hauran were eating mostly hunted gazelles and foxes. Between 7000 and 6000 BC their daily food was mostly domesticated animals (sheep, goat, pig, and cattle) and domesticated cereals. By the 4th millennium BC (4,000 BC to 3,000 BC) there were many Chalcolithic settlements in the valley of the Yarmouk river. The Auranitis (Houran) is mentioned in the Hebrew Bible (Ezekiel 47:16-18) including the boundary area of the Israelite northern kingdom at the time. The country's most distinguished citizen is said to have been the prophet Job (Arabic name: Ayyub). Centuries later, the Ancient Greeks and Romans referred to the area as Auranitis, and it marked the traditional eastern border of Roman Syria; this is evidenced by the well-preserved Roman ruins in the cities of Bosra and Shahba. At the time, the Hauran also included the northern cities of the Decapolis. Atypically, its name is part of that of the Melkite Greek Catholic Archeparchy of Bosra-Haūrān, not just the (historical) main city. My companions intending to leave Damascus very early the next morning, I quitted my lodgings in the evening, and went with them to sleep in a small Khan in the suburb of Damascus, at which the Haouaerne, or people of Hauran, generally alight. Early photographs of Hauran's archaeological sites, taken in the late 19th and early 20th centuries by German explorer and photographer, Hermann Burchardt, are now held at the Ethnological Museum of Berlin. In alphabetical order, article (Al-, As-, etc.) included. In alphabetical order, including article (Al-, Ash-, etc.) and disregarding hyphens. Iturea, Gaulanitis (Golan), Trachonitis (Lajat), Auranitis (Hauran), and Batanaea in the first century CE. ↑ "Cash boost for Syrian rebels to pressure Assad". The National. Abu Dhabi. 5 February 2014. Retrieved 26 July 2015. ↑ The castle (citadel) of Salkhad, photographed by Hermann Burchardt (click on photo to enlarge it); Melach Es-Sarrar (Malah) in Hauran, in 1895; Dibese, 400 meters west of Suwayda; Qasr (fortress) al-Mushannaf, in Hauran (click to enlarge); The citadel, Khirbat al-Bayda, in Hauran (1895); The ruins of Khirbet al-Bayda.